Note taking is an ancient habit and such is the short term memory of us humans that this habit is as useful in today's time as it was when the first man started sketching. 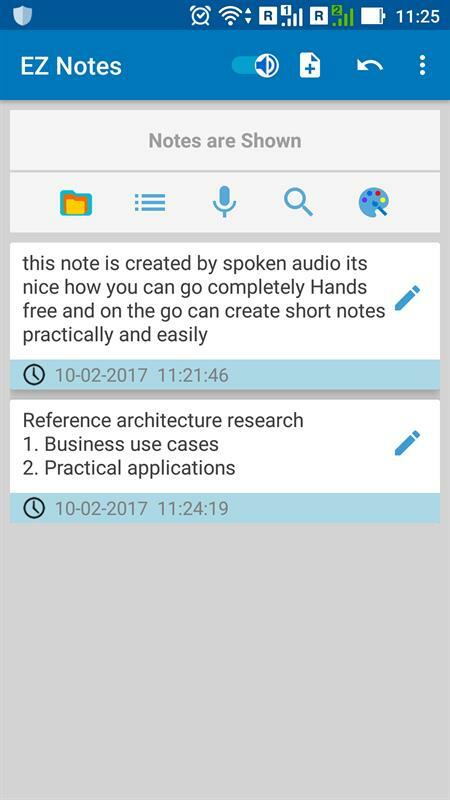 While working, either you have a notepad with you or if you are like me, you have started to rely on your smartphone to take notes. 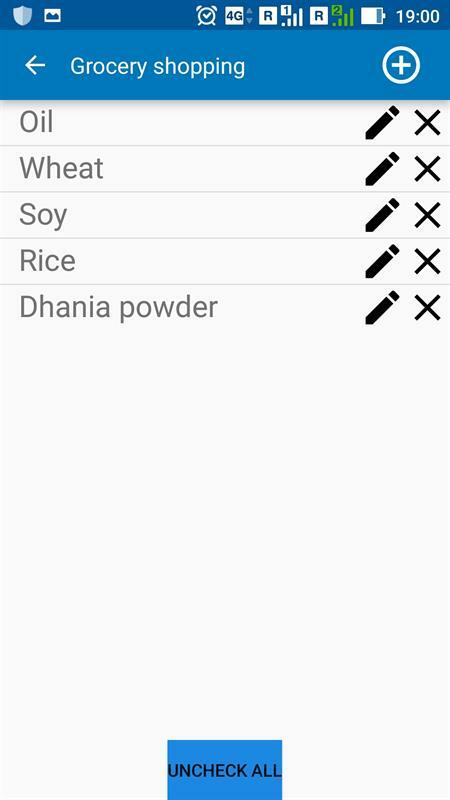 There are a number of note-taking apps on Play Store with many now pre-installed with the manufacturer apps. Two of the well-known note-taking apps are OneNote and EverNote. However, there might be reasons that you might not like these apps and want to check out other options. One of the options we will be exploring today is EZ Notes - Notes & To-Do Lists. This a paid app which guarantees minimal invasive requirements - you just need to give it access to READ/WRITE permissions to the Photos to enable its Sketching feature - and a clean smooth interface. Let's dive directly into its features and functions. 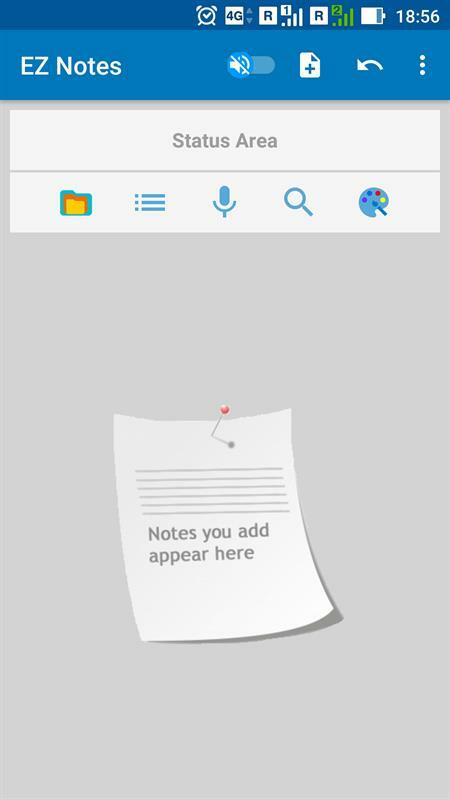 Create NotesOpen the app and you are greeted by a clean interface where you can directly start taking notes. You can either type the note or use the microphone option to dictate it. The app uses Google voice recognition to convert your speech into text and is therefore quite accurate. You might want to clean it up a little though since the note won't have any punctuation or capitalization of the first letter of the first word in the sentence. You can use the app to sketch your notes too in case you want to illustrate something. All these notes can be easily shared by using Email, Facebook, G+, Hangouts, Text Message, Whatsapp and whatever other sharing options you might have. The note writing is supported by a host of formatting options like controlling Font size, style, Bold, Italics and Underline. There is a pre-existing folder structure which you can use to categorize your notes like under Education, House, Ideas, etc. There is a Trash folder too which keeps are all your deleted Notes in case you want to recover them. A right swipe on the notes sends them to the Trash bin and a left swipe archives them. You can use the Undo function to recover up to 10 deleted notes. You can export your notes by doing a long press on an individual note or using the "EZ-Export" option in the menu. This will allow the notes to be shared to any medium you are using like Google Drive, Email, Whatsapp, Messaging or more as mentioned before. The developers of this app don't promote the sharing options because according to them it bloats the app by requiring it to use the internet connection and strains the smartphone resources which otherwise this app uses to a minimum. Nothing in this world comes for free. 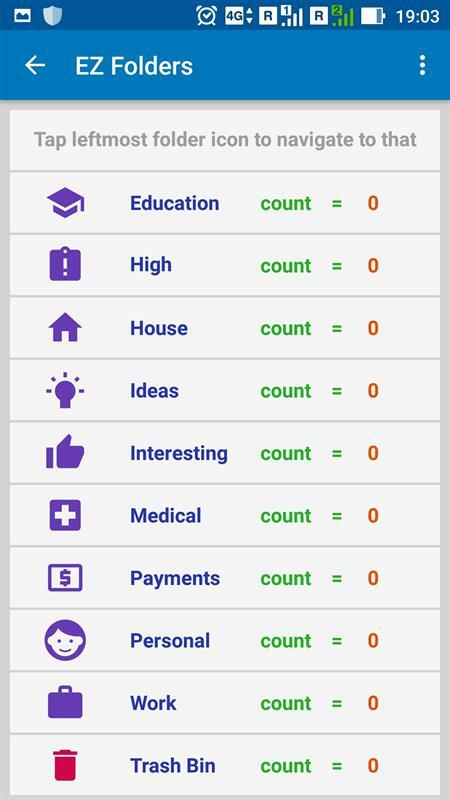 The apps which provide such note taking for free like Google Keep and others might use the data from your notes to sell to advertisers or themselves show advertisements to you based on the analysis of your data. 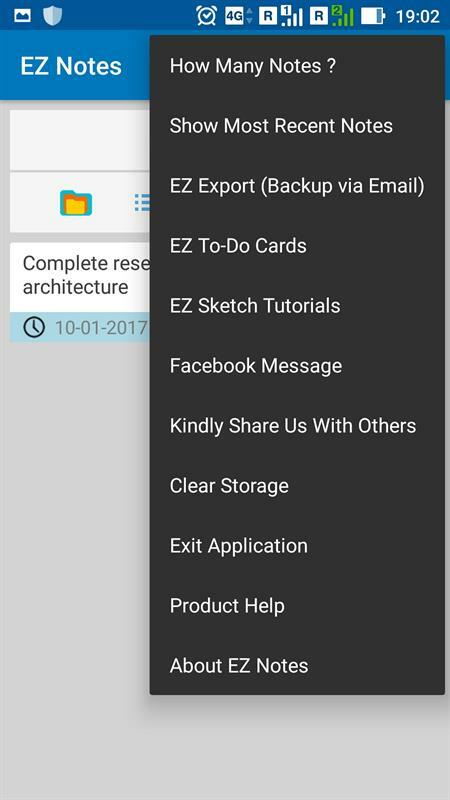 However, EZ Notes is a paid for software which requires no internet connection to sync your data anywhere, it does not collect data from other apps neither reads your contact details. There is no leakage of data from the app whatsoever unless you specifically decide to share the data outside the app. The second menu button from the left takes you to the To-Do list interface. The same text editor is present there and other than that it is a completely clean interface. Give a heading to your To-Do list and jot down the points below it. Once the task is complete just click on the item to strike through the point and mark it complete. EZ Notes has been highly rated by a lot of reputated technology blogs and I too don't have anything bad to say about it. The interface and working is as simple as it gets. The To-Do list creation has to be done by typing only, there isn't the support to create it by audio. That is probably to keep the implementation simple since Google speech to text supports simple sentence writing and jotting down points as is required in a To-Do list would probably require a different implementation. I guess that sacrifice it okay to keep the app light weight. A highly recommended app to take Notes and create To-Do list without worrying if your personal data is getting leaked anywhere or not.